The ‘action camera’ category — rugged, portable, and powerful video cameras that are made to be bolted onto motorcycles, slapped onto snowboard helmets, and dunked down to 50 metres deep on a scuba diver’s suit — has exploded in the last few years. The reason for this explosion was the original GoPro HD HERO. Shooting 1080p video, the 2010 camera was tiny, simple, and compatible with a huge range of specialised mounts. 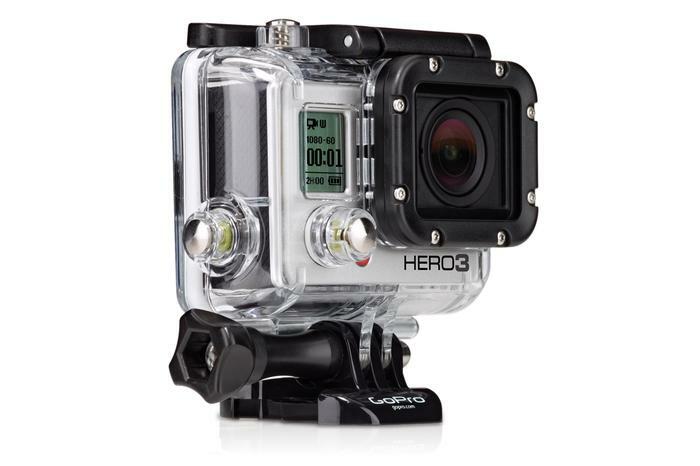 The HD HERO 2, ‘twice as powerful in every way’, had a better imaging sensor for faster frame rates and improved video in low light. 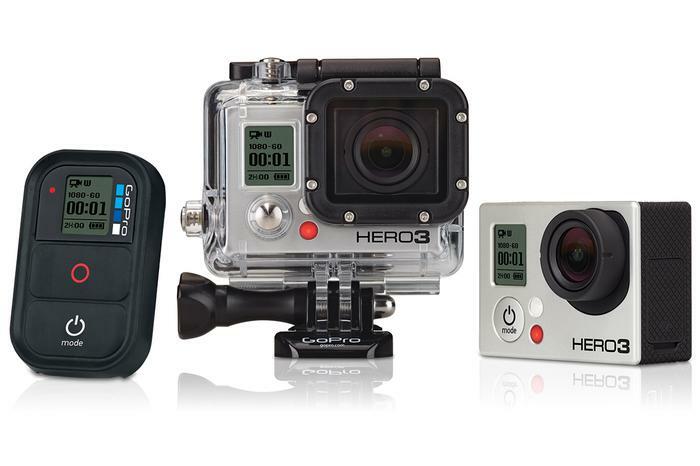 The GoPro HERO3, which is starting to become widely available in camera stores and sports shops, is twice as powerful again as the HD HERO 2. The top-of-the-line Black Edition can record Full HD 1080p video at 60 frames per second, for video that’s twice as smooth as the HERO 2. It can even record in the super-detailed 4K resolution at 15 frames per second, and the better-than-Full HD 1440p resolution at 48fps. 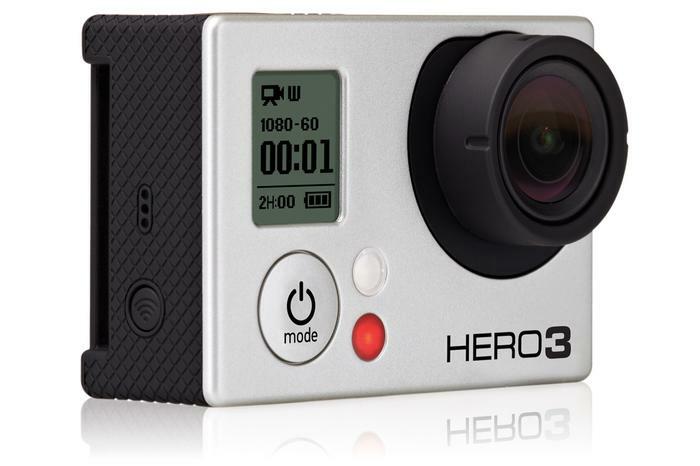 Despite these significant improvements in video recording quality, the HERO3 is 25 per cent lighter and 30 per cent smaller than the outgoing model. The Black Edition has built-in Wi-Fi, letting you hook the camera up wirelessly to your smartphone or tablet to change settings and get a preview of what the camera is seeing. GoPro also throws in a Wi-Fi remote control for when you don’t have your phone with you, and a waterproof housing that’s rated to 60 metres deep. 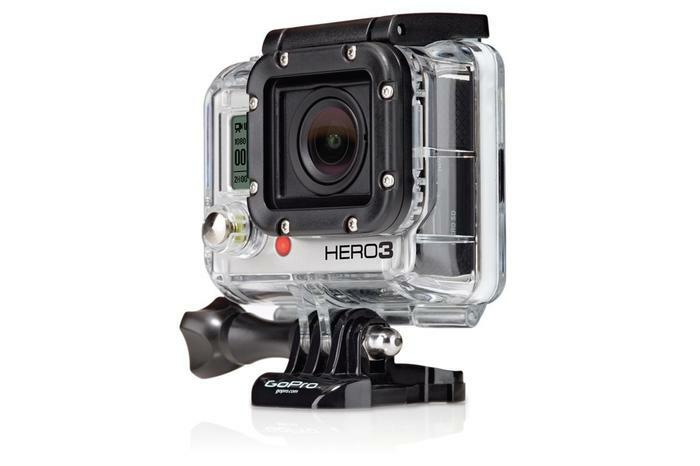 The GoPro HERO3 is also available in Silver and White Edition models, with less powerful imaging sensors, fewer video recording modes, and fewer features. 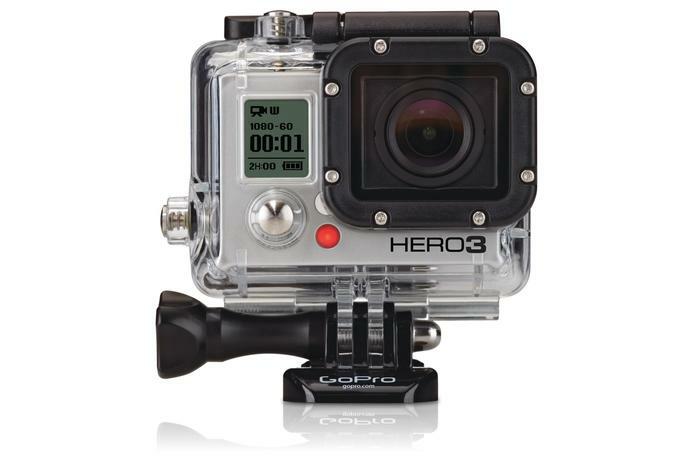 The HERO3 Black Edition will set you back $489.99 RRP, although we’ve seen it for around the $400 mark on the street. The Silver Edition is $379.99 and the White Edition is $269.99.